We are excited to announce the start of our new training Big Band on Monday nights…. Rehearsals take place at New Forest Arts Centre, New Milton, Hampshire, 7.45pm-9.45pm during term times. Feel free to pop in and say hi, there is no audition process. There is also a cafe for drinks and calorific treats in our break. 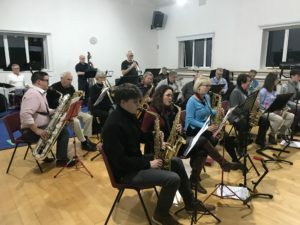 JSBB will be led by James Rawlinson with assistance by Andrew Blee and will be covering a range of classic and new Big Band repertoire with a view to performing in informal local concerts and gigs. 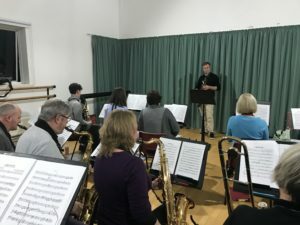 If you would like to be involved in a professionally run Big Band with a view to improving your ensemble skills and musical experience, this is the band for you! or £12.50 drop in weekly rate.